A judge said today that he will make a ruling by the end of this week on whether to block a decision by a regional commission to revoke City College of San Francisco’s accreditation effective next year or to reject the lawsuits brought against the commission. 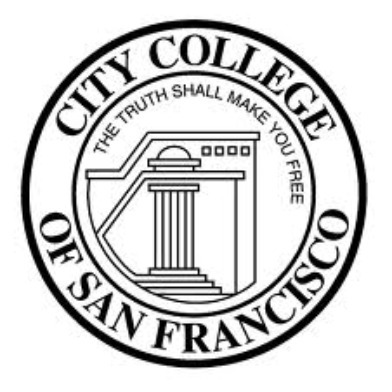 San Francisco Superior Court Judge Curtis Karnow is mulling arguments in two separate lawsuits brought against the Accrediting Commission for Community and Junior Colleges, which in July issued an order revoking City College’s accreditation effective July 31, 2014. San Francisco’s city attorney and two teachers’ unions brought separate lawsuits against the ACCJC, arguing that the commission did not give City College proper due process before making its decision. Karnow heard arguments in his courtroom today on motions by the ACCJC to either have the judge dismiss the case or have it delayed until City College completes its review and appeal process with the commission, which cited issues with the school’s finances and governance structure. Last Thursday, Karnow also heard arguments on requests by the city attorney’s office and the two unions—California Federation of Teachers and American Federation of Teachers Local 2121 — for a preliminary injunction that would block the revocation of the school’s accreditation until a trial is held on the matter. Andrew Sclar, an attorney for the ACCJC, told the judge today that he should not intervene in the case because the U.S. Department of Education already determines whether a commission acted properly by subjecting it to regular reviews to maintain its recognition as an accreditor. “Adjudicating the case … would require that the court assume the powers of the Department of Education,” Sclar said. He said the Department of Education has already issued staff reports recommending that the ACCJC maintain its recognition despite complaints from the city attorney’s office about the City College case. Another attorney for the commission said, at the very least, the case should be stayed until a later date because the administrative review and appeal of the commission’s ruling by the school is still ongoing. However, Deputy City Attorney Sara Eisenberg said the judge should intervene because the ruling to revoke City College’s accreditation as soon as next year is causing students to leave in droves. “If we put everything on hold, there will continue to be harm,” Eisenberg said. She said the Department of Education found problems with the ACCJC’s accrediting process for City College, including that commission president Barbara Beno appointed her husband to the team evaluating the school, creating an alleged conflict of interest. “If the ACCJC goes back and does a review under the guidelines of the law … we have no problem with that,” Eisenberg said. Karnow said this afternoon that he expects to issue rulings on all of the motions by Friday. He said if he does not stay or abstain from considering the case, then he will schedule a case management conference to schedule future court hearings. The judge indicated at last week’s hearing that a potential trial in the case could occur as soon as June, with the goal of ending before the July 31, 2014, accreditation deadline.